Most businesses need a mixture of traditional and internet marketing. 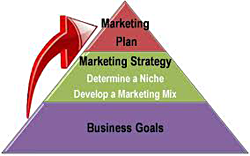 If your marketing mix isn’t balanced, you’re missing out on sales and new business. Although some businesses view marketing as too expensive, there are low cost strategies that can keep your business in front of prospective customers and decision makers. Amy McNally, principal at McNally Architects, has chosen an internet marketing approach to reach decision makers looking for an architect for their next industrial or municipal project. Her website will be search engine optimized (SEO) and adaptable for mobile apps as well as laptops and PCs. The social media mix includes Houzz, Pinterest, LinkedIn, and a Facebook business page which will provide with a link to her website. Press Releases about new architectural projects will be placed on her blog as well as broadcast via social media channels and dedicated e-blasts. Quarterly newsletters can be mailed or sent as an e-blast. McNally’s traditional promotional strategies include professional membership with the American Institute of Architects–Wisconsin, as well as professional development seminars and volunteering. An announcement about her new website will be sent out to her professional network as well as friends and family. All components of McNally’s strategy will be monitored and adjusted as needed on a quarterly basis. As her business grows, additional marketing services can be added. One way to keep marketing costs reasonable is to find a talented marketing consultant who understands your industry and give them a couple projects to work on. If it seems like a good fit, offer to retain their services on a monthly basis. A monthly package of services is more affordable, allows the consultant to better organize their work flow and gives them a budget to work with. How many times have you tried to access a site from your smartphone and found that it’s difficult to navigate, loads slow, and is simply not as great an experience as viewing the same site on your desktop? This can be especially irritating when you’re trying to read something on the site and you find that you either need microscopic lenses on your eyes or have to zoom in and then scroll back and forth from left to right in order to make it through the ordeal. If you’re a business owner, think about your visitors’ experiences. Will they enjoy interacting with your site on a smartphone? Will all of your navigational elements (like drop-down menus) work properly? Are there other features that break or are difficult to interact with on a smaller screen? Official statistics say that mobile usage accounts for anywhere from 13% to 25% of all internet traffic. Now add to that the fact that mobile usage has generally doubled every year since 2008. 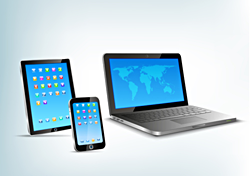 Make no mistake: The future of your website is directly tied to its overall mobile responsiveness. You only get one chance to make a first impression on a customer. In many cases, you get less than 10 seconds to reach out and grab your visitors’ attention. If they don’t immediately like what they see, they’ll often leave your site, find one of your competitors, and forget about you entirely. To make matters worse, you risk alienating existing customers when you have a site that’s not mobile-optimized. In order to solve this problem, it’s important to give mobile visitors an alternative to viewing the same version of your site as they would see on their desktop. This site will have a more concise message and will make it easier for users to get to what they most want to see. Your website also must be capable of detecting either the screen size or what type of device visitors are using and present them with the correct version. 1. Eliminate content. No one likes to read tomes of information on any website, let alone on their phone. Make your content as concise as possible. The same principle applies when you’re collecting information. Collect as little as possible—like a name and an e-mail address—rather than making someone fill out an entire 7-page application using their phone’s mini-keyboard. 2. Size your site properly so that people can view your content easily without having to zoom in or scroll back and forth. 3. Make sure that all the elements of your site interact well with tap functionality as opposed to clicks. Make your buttons and navigation elements big and easy to press. Check to make sure your drop-down menus and other interactive elements work properly. 4. Take advantage of mobile-only features like GPS-assisted localization, click-to-talk phone numbers, etc. Want to learn more about adding a mobile presence to your website? Contact us for your free one-hour phone consult and we’ll be happy to take your site to the next level. When hiring a web developer to build your site, don’t work with someone who can’t help you build a mobile presence alongside your site’s regular format. If you’d like to take this conversation to the next level, contact us to discuss how to optimize your website for mobile users. When you want to market to your exact demographic on Facebook it is very important to know that you should not be selling. It is the job of your Facebook page to connect with your business’ fans on a personal level. 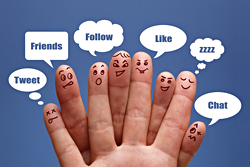 If you share “fun” content, your fans are much more likely to interact with your posts. If your posts also happen to have a link back to a relevant content page on your website, you will also reap the huge SEO benefits. When your fans interact with your posts, they are adding their activity to their own timeline, so all of that fan’s friends also see your post. When done right, you should see friends of friends commenting on your posts. When you see people tagging their friends names in posts, you’ve hit social media gold, because they are inviting their friends to like the post that they liked. One of my customers sells small engine parts online across the US. How do you make that fun? I ask fans to submit their own video clips and images, and then create fun videos and photo albums of their content (giving them credit). So, the fans give us free content and I simply edit the clips into something worthy of being shared. Then they see their video or photo album and all of their friends like it (and get the chance to see the fun side of your company’s personality). Give this a try and keep an eye on your Facebook insights. You’ll see the statistics show an exponential increase in reach, to organic and viral traffic. You can get double social media duty from your video posts if you first post your video to YouTube, and then share the finished YouTube URL to your video. This gives your video extra exposure on G+ and YouTube, and both of those also have tremendous SEO benefits. The SEO benefits to your website’s are gained when your fans are liking the posts that have a link back to your website. The first benefit is that as the likes add up, your pages will gain in organic rankings on Google and Bing. The next and possibly more important is that Google personalizes search engine results to these people and their network of friends. Let me make that clear, if someone likes your post about lawn mower racing and it has a link to your webpage selling small engine parts, that person’s friends will all see personalized Google results that include your webpage when they search for keywords matching your website. Want to learn more about how to get more from your Facebook marketing efforts? 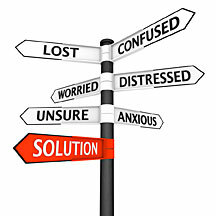 Contact us to receive your free one-hour phone consultation. Long, long ago in the late 20th century, the first websites were viewed on computer monitors only 14 inches wide (measured diagonally). Because virtually all screens were the same size, web designers had two easy choices: Create a site with a width of 100 percent, or create a fixed-width site set at approximately 640 pixels (or 8-3/4 inches). Either way, the site pretty much fit the screen of most monitors. Over time, the size of monitors increased and designing a site became more complicated. 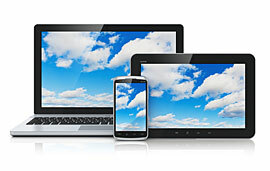 Now, not everyone shares the same monitor size, not everyone has the same display settings, and not every website has expanded to fit the extra display area available on a larger screen. Businesses that didn’t update their sites to accommodate increasing screen “real estate” saw their sites literally shrink on their monitors. Today, according to w3schools.com, 85.4 percent all users have a desktop monitor that displays between 17.75 to 26.66 inches wide (measured diagonally). At the very least, that doubles the amount of display space available at the time the first websites were built. So does this increase in screen size mean that an upgrade is necessary? Not necessarily. Recently, browser software has integrated a means of alleviating the sizing issue. Firefox, Internet Explorer and Google Chrome all offer a “zoom” feature that allows the user to enlarge the screen dimensions of a website. In Chrome, click on the settings icon located in the upper right corner of the browser window. The dropdown menu shows the Zoom feature. You can also select Advanced Settings in order to change font sizing. In Internet Explorer 7 or 8, click on the Zoom icon in the bottom right of the browser screen. In Firefox, zoom options are available in the View menu. You can also adjust the text size. Developers are already aware of the new Zoom features, but many users are not because typically they don’t poke around browser settings to learn what’s new. Nevertheless, this feature is just the kind of development that makes a big difference to business owners, who need to carefully manage web-related budgets. So, if the site has been upgraded within the last two to three years, chances are no real upgrade is needed just to improve the screen dimensions. Note: Mobile websites are an entirely different subject with different requirements that should be investigated independently. Viewer control over page sizing in the browser is a relatively new feature that allows users to customize their experience with websites. Fortunately for site owners, it also will save substantial costs as users learn to adjust the size of websites to suit their own tastes by changing one simple browser setting. 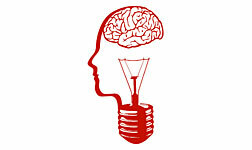 When’s the next big productivity jolt? Living in the trough of the worst recession since the Great Depression, it’s only logical to ask where and when the next productivity jolt might help spur the the economy into another period of rapid growth. Or is that just wishful thinking? Northwestern University Professor Robert Gordon is challenging the widespread belief that mature economies are destined to grow faster than their underlying populations. He has identified “frontier” economies—those at the cutting edge of productivity improvements—and come to the conclusion that it may be a lot tougher to restore American prosperity than expected. 1300 to around 1900, when the U.K. was the pioneer in cutting-edge technologies like the steam engine, spinning machines, and the navigational clock. 1750 to 1830, when inventions like the cotton gin and railroads triggered unparalleled economic growth in the U.S. The late 19th century in the U.S., when discoveries like electricity, petroleum, steel, and inventions like the telephone, typewriter, and internal combustion engine established the U.S. as the world’s most powerful economy. The late 1960s revolution in information technologies, creating productivity spikes from the introduction of computers, internet technologies, and mobile phones. Gordon argues that the fourth revolution bestowed economic blessings that haven’t lasted as long as the others. Since the dot-com bubble burst in 2000, aside from IT gadgets spawned from the last revolution, there have been no real productivity gains in workplace efficiency. Gordon’s analysis suggests that even if innovation continues at the same pace as in the past, there are six “headwinds” that are dragging progress down to a low level of half or less of the 1.9 percent annual growth rate experienced between 1960 and 2007. These include the spiraling national debt, an aging workforce of baby boomers, gaps in the education system, rising income inequality, globalization, and declining energy/environmental resources. So is American prosperity coming to an end? Other economists are more optimistic than Gordon, stating the trends he cites can be turned around. They argue that he underestimates the nation’s ability to make adjustments. Given American genius for innovation and its connection to prosperity, the endless political debate about changing marginal tax brackets seems trivial. The real reward will come with the next productivity jolt. And as for the next great invention, no one can predict how and when a random idea will impact the economy. When Steve Jobs created a computer in his garage, he wasn’t thinking about how his taxes might be affected. Like any innovator, his cutting-edge creation was meant to increase productivity and expand the frontiers of prosperity for the common good. Have you noticed how many websites are now using slideshows (also known as slider galleries or carousels) on the home page to capture attention? Within the past year, the number has exploded. Why the popularity? There are several compelling reasons. — Visitors have a notoriously short attention span. A slider gallery captures their interest immediately. — Slideshows are interactive. A viewer can click on a bullet, button, karot, etc., to focus on an image of interest. — A slideshow is intuitive. Some have an interface similar to Powerpoint, so everybody understands how to use them. — On larger websites, a slideshow eliminates the need to search. Did you know that slides can include links to relevant pages? This feature alone makes the experience worthwhile. — A slideshow is a quick way to energize a tired website. Although it doesn’t eliminate the need to update, it can act as a transition to a better user experience. The strategy for adding a slideshow requires careful planning. Think of a slideshow as a billboard for your business. What should you post on that billboard as a snapshot that shows your products / services? Once you determine a series of billboards, they can be included in a slideshow placed in a conspicuous location. In particular, many corporations and businesses put a slideshow on the Home page to attract maximum visibility. Portfolios. Many designers / photographers are using slideshows to showcase their project work. One popular approach is to create a gallery of before / after shots, along with more detailed descriptions of the project. One picture may be worth a thousand words, but two pictures showing how your services make a huge difference is worth dollars and cents. Sliders of information. Sliders can be useful in backing up information. For example, a description of a company’s product / service is written, and appears as part of an individual slide. Graphics are used to provide visual backup for that information, which helps viewers absorb the idea more quickly. Featured blog posts. Many bloggers use slider galleries to feature their top posts. That way, readers can find popular articles at a glance. Although many users already know how to navigate a slideshow, there are several useful principles to keep in mind when developing a slideshow. Buttons, numbers, and thumbnails. These elements are important visual guides to assist navigation. Be sure to make clear to the user where they are as well as where the slideshow is going. Auto and manual. Slideshows can either scroll automatically or allow the viewer control. It’s best to make both methods possible so the user can find the information (slide) they prefer quickly. However, the show should start to rotate slides automatically first, with the option to select specific slides set up as part of the navigation. Keep it simple. Don’t try to present too much information or too many features. For the user, a slideshow can be a source for inspiration that leads to provocative questions. It can be the beginning of a partnership with the business authoring the slideshow. Transitions and Styling. 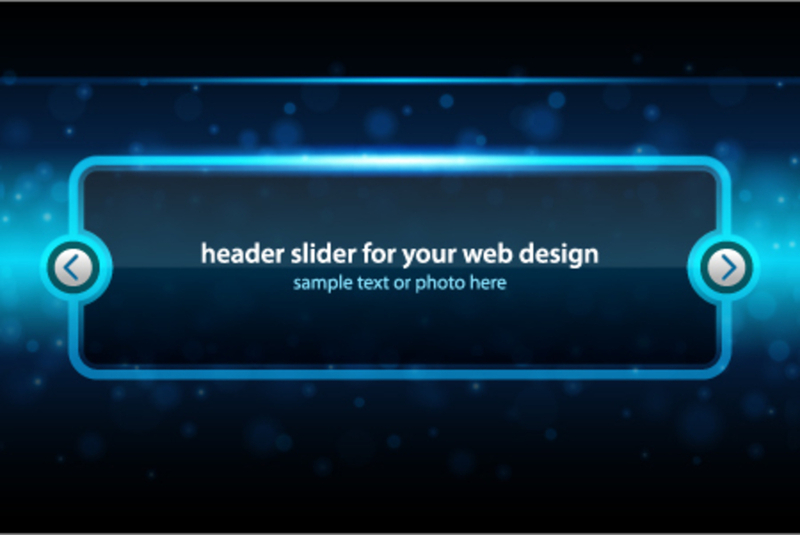 A slideshow should be an integral part of website design. The way a slideshow moves from slide to slide is important. The choice for transitions — fading, horizontal sliding, vertical sliding, the list goes on and on— should blend into the overall style of the website. A slideshow is a compelling means of delivering the best content on your website — up front on the Home page where it’s most visible or as part of a project gallery. Either way, if it’s elegant and user friendly, your viewers will find their experience with your website memorable. Do you hate your website? Every time you visit your website, you know something’s not right. You can’t put your finger on it, but you’re convinced that it definitely could be better. Honestly, I am surprised by how often I get such negative feedback from business owners about their own websites. And all too often, they’re not sure about where to begin to improve the situation. Usually there are two reasons for their dissatisfaction. — The site is old and outmoded. Web technologies move at lightning speed and most business owners know it. A website becomes obsolete after only 2-3 years, yet many businesses are slow to keep abreast of the latest technological trends. —Traditional management actually works against innovation. There’s a “top-down” mentality that does not always support (or understand) the idea that prospects and customers want a better user experience—which necessitates constant striving to upgrade functionality. It would take some time before the fledgling web would realize its potential. What made this state of affairs change? The most powerful driver was search engine optimization (SEO). Now a website needed more than relevant content; it required changing content in order to help build its popularity. Business owners performed quick checks of their competiors and discovered they were busily inserting popular keyword phrases into content, adding ALT tags to images, and monitoring site traffic based on SEO success, in addition to human visitors. And there’s more: Innovative business pioneers were exploring the use of blogs to engage their audiences in two-way dialoguing. The technology had been there all along; somebody just had to apply it creatively to enhance communication with customers and prospects. The application of blogs is just one step away from social media. Brilliantly, the developers of Facebook and Twitter created an easy way to do “social business” by engaging fans and friends in ongoing discussions about products / services. Social networking started out as a casual means for college students to interact. Very soon, the audience to expanded to include businesses looking for cost-effective, creative ways of interacting with their customers and prospects. And like the early days of the web, this new networking technology continues to evolve. So what’s in it for your business? That depends upon your attitude and open-mindedness. Using your website as a hub of marketing activity can be viewed as either a blessing or a curse. Many owners used to traditional marketing techniques find themselves in “no man’s land” when they learn that the old principles of using a “sales funnel” no longer apply. Business is no longer generated primarily from print and / or “old media” like radio and television; depending on the target audience(s), opportunities for visibility are now online. And if you don’t satisfy the necessity of providing interactivity and responsiveness, then you’re not even in a position to compete anymore. Bringing an old website into the 2010’s is key to integrating your overall marketing plan and pulling it all together. The focus has shifted from print and “brochureware” to interactivity and engagement. By definition, it requires an ongoing effort and attention to detail. What have you got to lose? You already know your website doesn’t measure up. It’s time to find out how to turn it into a powerhouse for profits.